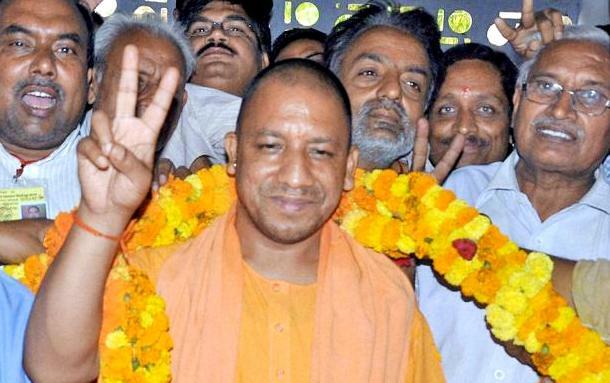 Putting all rumours and speculations into rest, the Bharatiya Janata Party has finally announced firebrand leader and Gorakhpur MP Yogi Adityanath as the Chief Minister of Uttar Pradesh. While names of Rajnath Singh, Ram Lal, Manoj Sinha, Keshav Prasad Maurya and Swatantra Dev Singh were doing the rounds for the last few days, it was Yogi Adityanath who won the race. As BJP won a massive mandate in Uttar Pradesh by winning 312 seats on own and 325 with allies in 403-member UP Assembly, a strong CM was the need of the hour. The BJP top brass had to respect the Hindutva mandate as well as the public sentiments by choosing Yogi. Adityanath is 5th time Member of Parliament from Gorakhpur Constituency. He has been elected as an MP from the same Constituency to the Lok Sabha in the 1998, 1999, 2004, 2009 and 2014. Yogi Adityanath is the Mahant of the Gorakhnath Mutt in Gorakhpur and the founder of the Hindu Yuva Vahini.